Vigna khandalensis (Santapau) Raghavan et Wadhwa, is an endemic legume belonging to subgenus Ceratotropis (Asian Vigna), genus Vigna of the family Fabaceae. It is commonly known as ‘Ranmung’, ‘Jungli mung’ or ‘Badamung’. V. khandalensis is sporadically distributed at high altitude areas in the Northern Western Ghats, India. It is an annual, erect, tall herb growing along roadsides, hilly slopes, pond sides and near human settlements. The legume seeds are utilized by human beings at the time of famine. Surprisingly, the plant remains neglected and underutilized although its high nutritional value. The scant information on V. khandalensis leads us to investigate this underexploited and underutilized legume as a food source for human. 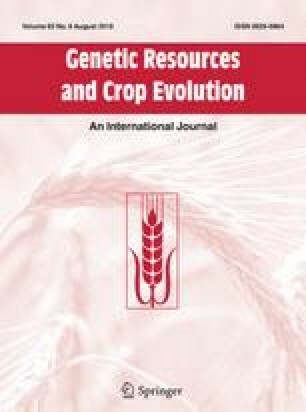 The present paper deals with geographical distribution, taxonomy, ecology, agro-morphological characterization, nutritional content and phytochemical analysis. The results obtained in the present investigation provide information on agro-morphological traits and nutritional potential of V. khandalensis. Furthermore, it is promoted as a legume ‘Crop for the Future’ for food security. The authors are grateful to the Director, ICAR-National Bureau of Plant Genetic Resources (NBPGR), New Delhi and Head, Department of Botany, Yashavantrao Chavan Institute of Science, Satara for providing necessary laboratory facilities. This work was supported by the Indian Council of Agricultural Research (ICAR) under “National Agricultural Innovation Project (NAIP) Component-4, sub-project Code: 4143” and Research Advisory Committee, Yashavantrao Chavan Institute of Science, Satara for financial support under “Financial Assistance to faculty for self funded Project (RSS/YCIS/RAC/5)”.